Observations collected by citizen scientists have helped vets investigate the occurrence of a leg condition that affects British finches. A new study, published in Scientific Reports, shows that reports of leg lesions peak in winter, which may be linked to the annual influx of migratory Chaffinches from mainland Europe. Leg lesions, commonly known as 'scaly leg' or 'tassel foot', are growths on the legs and feet seen in finches across Europe. Leg lesions in Chaffinches are one of the most frequently observed signs of ill health in British garden birds, and have been known to occur for decades. Up until now there has been no large-scale study of this condition, and it has been unclear if it is more common at particular times of the year or in particular regions of Britain. Weekly records of the presence of leg lesions in garden birds, received from volunteers taking part in the British Trust for Ornithology's (BTO) Garden BirdWatch survey, alongside reports from members of the public received via the Garden Wildlife Health website, have allowed us to answer these questions for the first time. A male Chaffinch with scaly leg (Luke Delve). Each week an average of 3-4 per cent of BTO Garden BirdWatchers recording Chaffinches see a bird with leg lesions in their garden, with the location of these being widespread across Britain. However, there is clear seasonality in reporting, with a peak from November-March. While Chaffinches occur in Britain throughout the year, higher numbers are reported during the winter months, as a result of an influx of migratory birds from mainland Europe, and it is thought this is related to the winter peak in leg lesions. Chaffinches are by far the most likely species to be seen with leg lesions in gardens, but the condition has been reported less commonly in a number of other finch species including Brambling, Eurasian Bullfinch, Goldfinch and Greenfinch. Results from post-mortem examinations of just over 1,000 finches in Britain have identified two causes of this type of leg lesion; a virus (Fringilla coelebs papillomavirus) and mites (Cnemidocoptes). Becki Lawson from Zoological Society of London's Institute of Zoology, said: "Leg lesions in finches are highly visible and can generate public concern for animal welfare. While birds with severe lesions can become lame or increasingly vulnerable to predation, most affected birds continue to behave normally. The majority of reports involve individual affected birds rather than outbreaks involving large numbers of birds. Our study did not find leg lesions as a common cause of death and there is no evidence that this condition poses a threat to conservation." BTO's Kate Risely added: "Thousands of people report their garden wildlife sightings to Garden BirdWatch every week. While it can be upsetting to see birds with health problems, these results show that regular reporting of symptoms can help us learn about large-scale patterns when used in conjunction with one-off reports. We are very grateful to everyone who reports their sightings to BTO and to Garden Wildlife Health." Both the mite and viral infection that cause leg lesions are thought to be transmitted by contact. 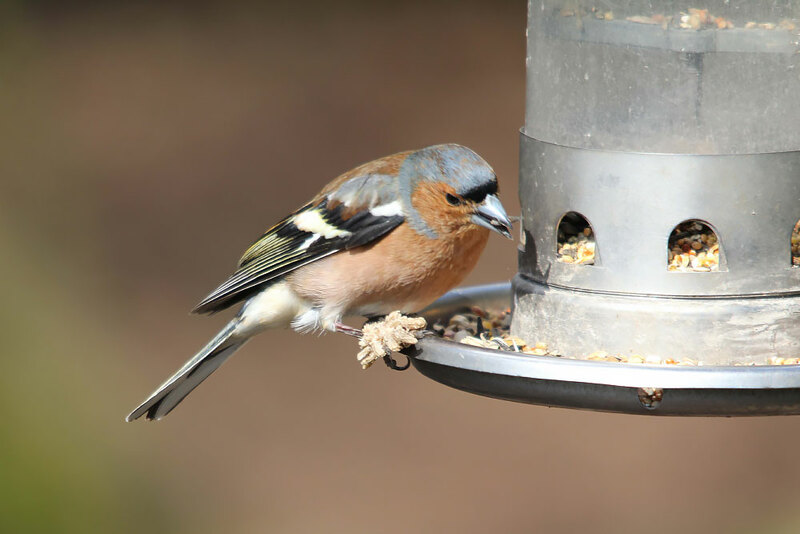 Good hygiene measures such as cleaning bird feeders are recommended as a routine to minimise transmission of disease at feeding stations. You can learn more about maintaining good hygiene, and help our research at the Garden Wildlife Health website. If you enjoy watching your garden birds you can also help by taking part in the weekly BTO's Garden BirdWatch survey.